The perfect companion to our FORLB-RGBW 4" or 6" light bases, this rotating display will turn your simple light base into a moving work of art. 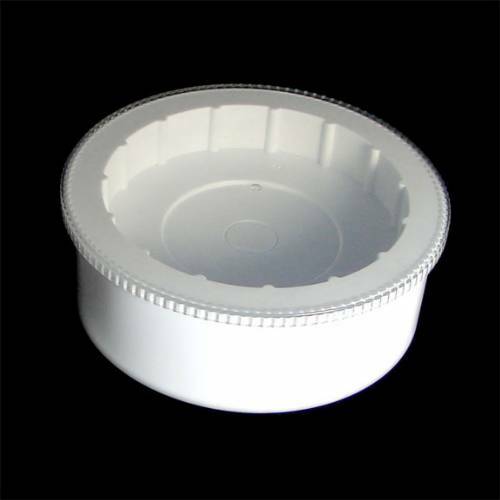 This innovative and eye pleasing 8" diameter (3" high) turning base has 2 speeds, approximately 1.5 rpm and 2.5 rpm. It will support up to 10 lbs and can be used with batteries or the included AC adapter. Using 4 x AA batteries (not included), it will run for more than 12 hours loaded. For more permanent applications use the included AC adapter - You can even plug it into a timer so that the display will turn on and off on your schedule. 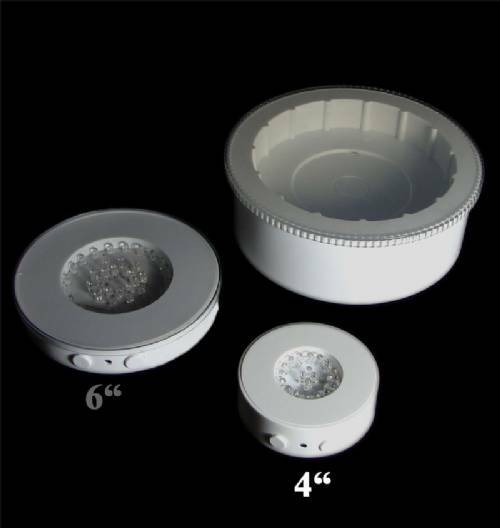 The top clear cover is removable and the inside is designed to accept our 4" or 6" FORLB-RGBW light base (not included). 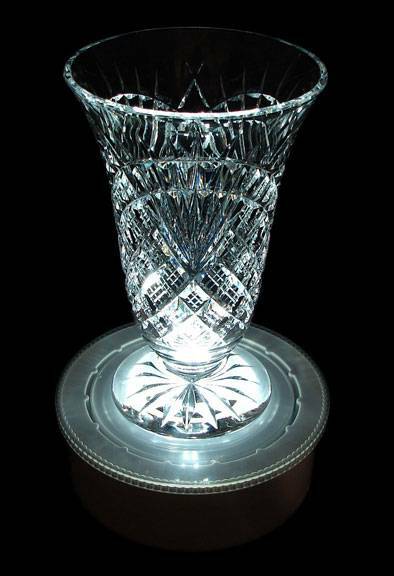 It is a turning base or a lighted turning base! 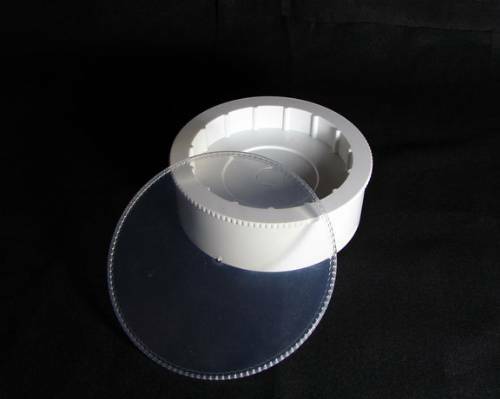 Just remove the clear cover, turn on your light base, place it inside the turning base and replace the clear cover. Can also be used with out a light base if you prefer. The applications are too many to list! Video below shows stand turning at both speeds. Light Bases - Multicolor - 4", 6", or 10"